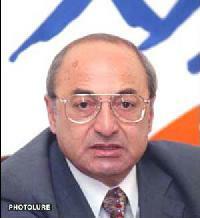 ARMENIAN DEMOCRATIC LIBERAL Party - Ramgavar Azadagan - WILL ARMENIANS GET RID OF LUST FOR POWER? WILL ARMENIANS GET RID OF LUST FOR POWER? Armenians suffer from two diseases- the one is the so-called Yerevan disease, which is virtually impossible to cure and the second is the lust for power, which develops into intolerance and permissiveness. If only an insignificant portion of Armenians is prone to the first diseases, the majority of us seem to suffer from the second one, which is perhaps our biggest tragedy. Armenians are a nation with a 5,000 years-long history record, but they have failed to get rid of their barbarity and civilized struggle is not for us. Our enemies used to say: “give weapons to Armenians and they will eliminate each other.” What we are witnessing today is very much like that. We have divided into camps and show no signs of reconciliation. Some political forces have turned the overwhelming majority of people into a toy for pursuing their narrow interests. We have failed to realize what we want. Today we praise one and are ready to stone him tomorrow. We talk about high ideas but think only about our own benefits. What is going on in today’s Armenia? Lust for power has made us blind, and we are full of hatred towards one another and are not any longer able to tell the bad from the good. Who are those people who are sowing discord and intolerance among us? They are accomplished and non-accomplished politicians, people keen on taking revenge and who would stop at nothing reach their goals. I, as one of many more mortals, cannot understand what Vazgen Manukian, a former prime minister, then a defense minister and head of a political party, wants. Having all power levers at one time he did not justify the people’s expectations and went into hiding from responsibility. In 1996 he took them to assault the parliament and abandoned them at the most crucial moment, leaving them face to face with their own army. Many innocent people were arrested but Manukian and other leaders like he emerged clean. Then the regime stopped at anything to retain its power, they will not stop at anything now to take revenge. Who are the leaders of today’s opposition? Men who were raised in Diaspora, those who fled Armenia in 1992 to avoid ordeals that the rest of us sustained, a man who is trying to capitalize on his late father’s name. The people have not forgotten this and will tell you “No” on March 5.